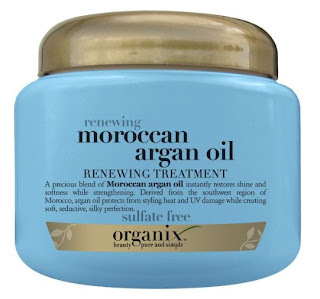 If you are after a sulfate-free hair care product and want the renowned nourishment from argan oil then you shouldn’t miss the latest range from award winning salon inspired Organix. 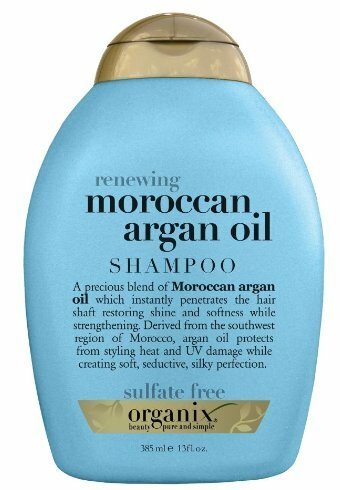 The Moroccan argan oil collection is made up of shampoo, conditioner, treatment, and penetrating oil designed for use together and promises to give you beautiful salon results without breaking the bank. 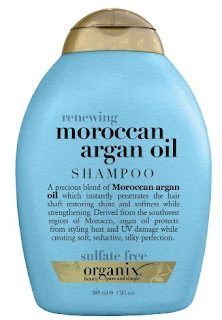 You may have read how beneficial argan oil is to hair and skin as it is rich in essential fatty acids and vitamin E, but Organix has made sure the oils they use in each of their products are even better by using only fair trade argan oil, which helps local women in Rural Morocco. So with all these benefits, how does it translate to results on hair? The thick gel shampoo being sulfate free is very gentle on the scalp but still manages a good lather and leaves hair clean without feeling stripped of moisture and natural oil from scalp as the argan oil adds back nutrients to hydrate. As it also doesn’t contain phosphates, and parabens, so is safe for coloured hair. The lifting properties of this shampoo is great and hair from the roots well lifted, adding back volume to hair. 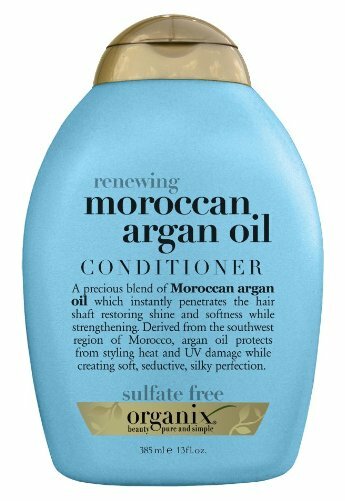 The conditioner is thick creamy and luscious smelling like the shampoo and does a good job of leaving my parched and chemically damaged hair slightly softer and smoother. However, given the sad state of my hair, I didn’t find the conditioner moisturising enough. I need a super dose and that’s where the treatment mask comes in hand. Used in place of the conditioner I work it into the ends and leave it on hair for the same amount of time and I get silkier smoother locks afterwards. My hair is also glossier and it’s definitely something I’d used all the time in place of the regular conditioner to keep my hair healthy. Another star product of the range is the penetrating oil. This oil is non-greasy and can be used as brow drying product on towel dried hair for smoother softer hair that is easier to style as it lessens friction in hair. Used on dry hair, it acts as a finishing product that tames frizzes and flyaways and adds a beautiful shine. Tip, dispense a small amount and rub with palms of hands to heat up the product before applying to hair to activate the oil and evenly distribute so there are no greasy spots. Organix renewing Moroccan argan oil range work well to give soft, glossy and smooth hair annd is great for dry damaged hair of fine to thick hair types. The price is in the mid-higher end of similar products in its line and for that I'd expect it to work harder for me but it does contain many natural and fair trade ingredients so its also for a good cause. Organix hair products are available from Coles, Chemist Warehouse, My Chemist and selected pharmacies. The productd featured have been provided for consideration. Your reviews do read a lot like a press release... do you do any where the product isn't provided for consideration? would be great to read an honest review. @Madison - thanks for reminding me I have a lot of products I bought and need to write about. Unfortunately working full time means it's hard to get alot of reviews out and I want to make sure that new releases (many are provided for review) and published so that readers can know more about them and try them out if it interests them. I also repurchased many products that I've used up that were originally given to me for trial but I will try and strike a better balance of products I buy and products provided for review. All reviews are my own words and definitely of my personal experience so even if they were given to try, it's always honest.